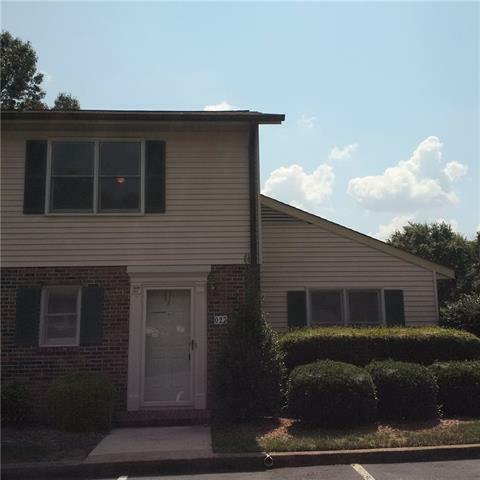 End unit townhome beside Hampton Heights golf course and walking distance to LR. Directly across from the cool blue pool! What a nice home this will be when updates are complete with fresh paint, new bath cabinets and tops, new carpet upstairs with gleaming vinyl hardwoods throughout the main level. Open dining and living area with brick fireplace. Master located on main with two more large bedrooms upstairs. Extra long screen porch offers more space & convenience with pet door & storage closet. Carefree living with no exterior maintenance right in town! Bike or walk to school, shopping and dining.